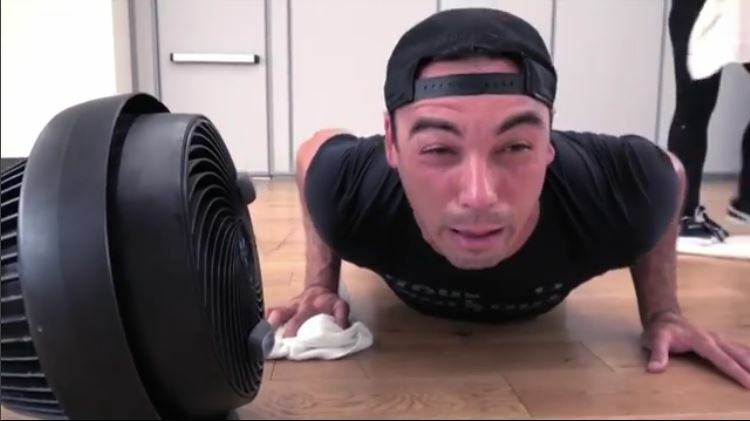 EBOOST is bringing to you an all-new, energy packed workout series starring Joe Fauria. Each week, Joe will face a new renowned trainer and fitness studio and try his best to keep up! Powered by EBOOST, this relate-able and energetic series blends the intensity of workouts with a positive message that will have you wanting to lace up your sneakers and get on your way to the gym. Joe Fauria, former NFL tight end for the Detroit Lions and Arizona Cardinals brings humor and intensity to some of New York City’s hardest and most innovative fitness studios, all the while staying hydrated and healthy with EBOOST’s product line; including EBOOST POW Pre-workout and EBOOST PRIME Whey Protein Powder. Check out Joe vs. Gym: Series Episode 1 now. In Episode 1, Joe Fauria (@bigjoefauria) checks into Hub Seventeen NYC with Nicole Winhoffer (@nicolewinhoffer), a world-renowned fitness artist who creatively combines the art of inner expression and fitness in her NW™ Methode. Nicole has worked with some of the best bodies in the entertainment industry including Madonna, Mya, Rachel Weisz, Stella McCartney, Andrea Riseborough, Abbie Cornish and Steven Klein. Joe struggles comically, but overall he did really great! Check out the video to watch Joe’s stellar dance moves and not-so-graceful moments. Be sure to follow EBOOST on Instagram, check out #joevsgym for updates and visit our YouTube channel to check out testimonials, recipes, and of course, future Joe vs. Gym episodes! Today marks the launch of EBOOST’s first Joe vs. Gym episode, but there will be a new video released every week for the next 5 weeks every Saturday at 5 PM EST. We’re so excited to bring this to you guys. Be sure to check in and stay BOOSTed!